A perfect combination; clear blue skies, crisp cool morning, glorious sunlight and a cup of coffee brewed by my husband. We have divided our meals according to our skills. He does breakfast, usually toast and coffee, yoghurt and fruit and I do dinners. This August morning was too beautiful to stay inside, so I stood on our landing soaking up the early sunshine admiring my hard work in creating a garden path that blended so well into our small suburban plot. 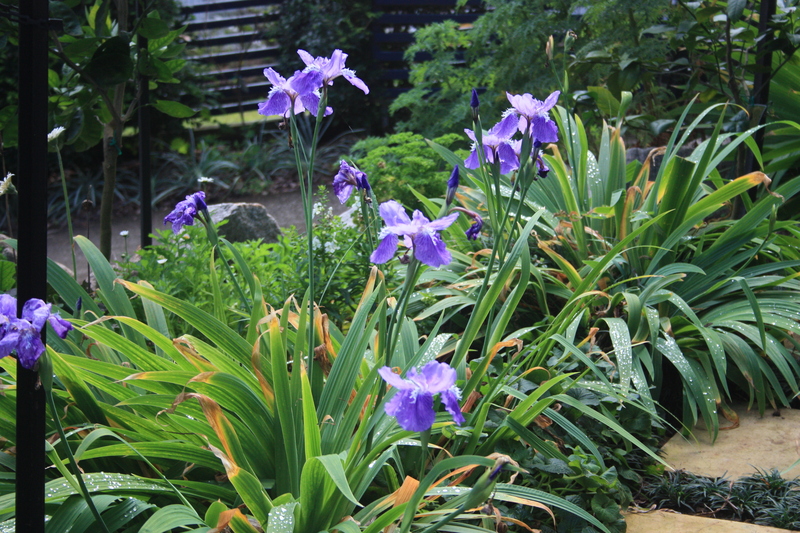 I had planted clumps of iris along the edge of the path and the lime green leaves scraped against my bare ankles as I walked along the sandstone pavers. I love the look of these delicately ruffled flowers that are mid to deep purple with a striated white centre standing on mid-height stems. They look so pretty particularly when teamed with my white iceberg roses and lavender. When a girlfriend was moving house about 15 years ago, she gave me some rhizomes from her garden and they have flourished ever since. 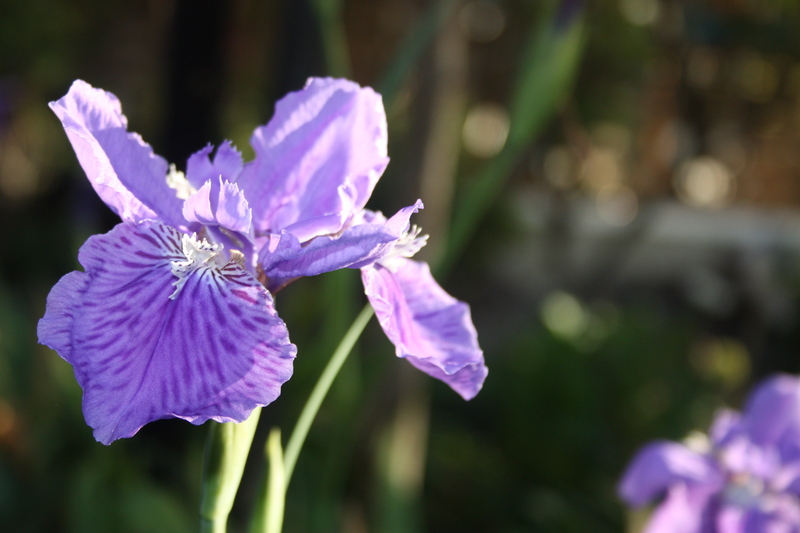 I think they are a type of bearded Iris that my husband calls Flag Iris but we cannot find out why they are called that. They such a resilient plant which is necessary to survive our hot sub-tropical summers and desultory watering that they get in my garden. They don’t even get affected by the ants and mealy mite that are destroying local plants in our area. When I put them in a vase they remind me of an impressionist painting. So gloriously intense and so wonderful to have these flowers during winter to brighten up a garden and home. This entry was posted in Garden on August 24, 2014 by lorikeetlady.